So this one's weirdly specific. Bathophobia is the fear of depths in great volumes. It's seemingly just the fear of being overwhelmed, but by an actual physical thing. It's not the most common phobia, but it can be intense. 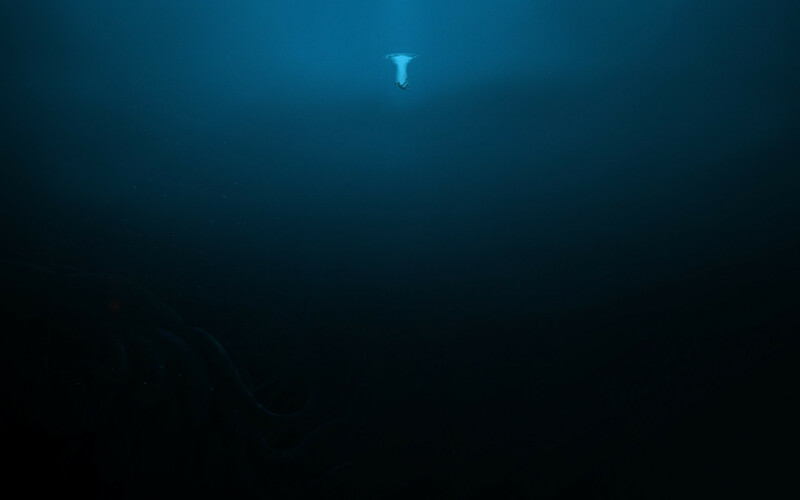 The fear can be of the depths of the ocean, how huge a certain landscape is, or even the depths of something like a hallway. I originally found this while being in a dark, dimly lit office space with a lot of dark hallways and googling "fear of dark hallways" and was led to this. It's all lumped into the same fear: a fear of "depth," which is something most of you have probably been accused of by your significant others. The movie The Shining actually used this fear, along with Bathmophobia, to prey on people's discomfort cinematographically (is that a word?) by shooting from a long distance away as the main characters did something on a stairway. The stairways always seem unclimbable and the son, Danny, would bike down seemingly endless hallways where danger could be at any point. But this is interesting because most of the photos on some fear-based subreddits are all long hallways or something looking at you from some deep, dark place, so clearly this is something people are actually scared of even if they know it or not. It's something that a lot of people are apparently sensitive to, and something that you might be too. So, just like this trypophobia list, this is a collection of the absolute worst pictures that someone with this fear could possibly fathom, with captions to match. If you have a fear of depth, fear of the deep ocean, fear of giant heights, or a general fear of feeling small in an otherwise huge environment, then this list is definitely for you. Or not. It could be very much the worst thing that you've ever seen, but realizing a fear is the first step in overcoming it, so these lists aren't necessarily evil, but necessary if you find them. If you have bathophobia, which I know just sounds like what cats and little kids have, take a scroll through this list and see what it does to ya.